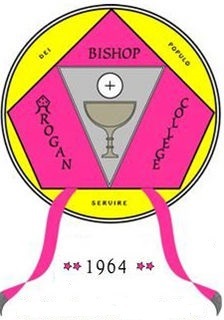 In the letter to parents and guardians at the end of the second term in this academic year 2012/2013, I wrote briefly on THE SPECIAL STATUS OF BISHOP ROGAN COLLEGE. I wish to be more elaborate on this topic. This is to give it a wider publicity, because of its importance in the present circumstances. The topic is not new as such, and a lot has been said about it to generations of students in times past. I wish to re-echo this special status given its timeless importance to what the institutions stands for and for the sake of the later generations. We have often been told that Bishop Rogan College is a College with a difference. I heard about this during the opening of year Mass, 1999/2000 academic year in the homily of then Bishop of Buea, Mgr. 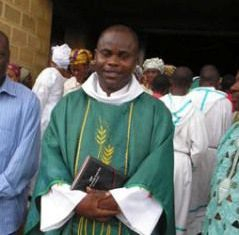 Pius S. Awa. It was repeated throughout that year in conferences, retreats and recollections. I spent only one academic year in BIROCOL as a prospective seminarian. What exactly is this difference? What is the nature of Bishop Rogan College that makes it different from other colleges (secondary schools)? What is the unique identity of this college? BIROCOL is the only college that organizes interviews before all other colleges, even before the release of the Government Common Entrance Examination Results. This is because admission is primarily based on the presence of the signs of the priestly vocation, judged to give the candidate the right intention. A good performance in the interview exam is however required of the candidate with the right intention. Life in BIROCOL truly reflects the nature of the seminary. It turns mostly around spirituality, academics and discipline. That is why in Bishop Rogan College, the popular word being used is formation. This is quite an appropriate word because when one is submerged in a regular and steady programme of activities that embodies the above dimensions of school life, one is truly formed, shaped and given a new pattern of behaviour. It is interesting to hear parents, acknowledging that BIROCOL has impacted the lives of their children. Ex-students fondly recall school life in the different areas of spirituality, academics and discipline. One may recall how Evening prayers and Benediction used to be celebrated on Sunday evenings, how punishment used to be meted out against recalcitrant students and how academics used to be tough. Spirituality: The only college where all students attend Holy mass every day, and celebrate Easter in school. In fact the second program and holidays are determined by the time Easter is celebrated. Academics: BIROCOL offers all subjects as offered in any secondary grammar school; in addition to these, Latin and Music are taught in view of the priestly life. Discipline: The discipline in BIROCOL follows the student to their homes. What is now called "Holiday form" are distributed to students to help the parish priests make and evaluation of their stay in the parishes during the holiday. Is it not true from the above that BIROCOL is a college with a difference? We, students, staff, ex-students, parents and guardians must also be different. Our contact with BIROCOL should make an impact on our lives in some way. Above all, let us pray for genuine vocations in the curch and support it as much as we can. I wish, on a final note to thank the ex-students in and out of the country who are supporting the college in different ways in training young people for the church and society.